"Access your entire Kindle collection using the Kindle Windows application." 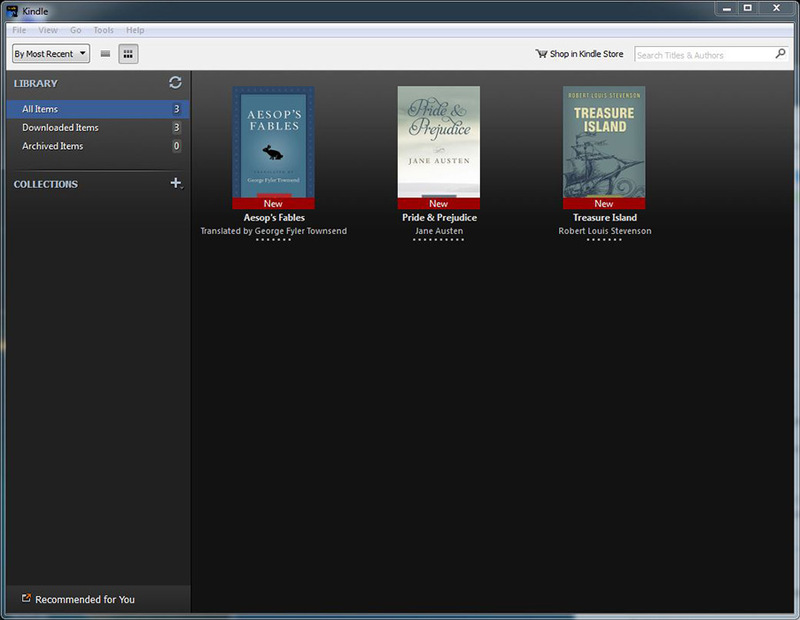 Read all of your favorite Kindle books using Amazon's Kindle reader application for your Windows PC. Simply log into your account to see your entire book collection, and then you are able to read everything that you own right on your PC. For some people, it might be more convenient just to have all of your books on your computer. This would make it so everything you could ever want to do is on your computer, and right in your office where all of your books should be. If you don't have a Amazon Kindle account, you will have to sign up for one (it is free) when you start the application. This is so you can start a book collection and be able to access your books from your computer and from your Kindle for PC. However, it is assumed that, if you have a Kindle, that you already have an Amazon account. If you do, you are ready to go right off the bat. No worries, the application and signing up for Amazon is completely free. Though, the books will cost you money depending on the book that you want to read. Once you buy a book, you own it and it is available any time you want directly from your Amazon collection on your Kindle device and in your Kindle Windows application. Whether the book is an adventure, mystery, science fiction - Amazon has a very large library of pretty much anything you could possibly want to read. By downloading this application, you will get access to the application able to read the files in order to read the books that you buy from Amazon. If you are a reader, you have more than likely already heard of Amazon's Kindle and the Amazon Kindle large book collection that is available to anyone with an Amazon account. Why not give it a try today and see what it has to offer this Kindle for PC download?